Now that Spring is starting to show it's first signs, with daffodils springing up everywhere you look and a few sprinklings of sunshine brightening up our days, it's time to start thinking about days out with the family and places to explore with our little ones. 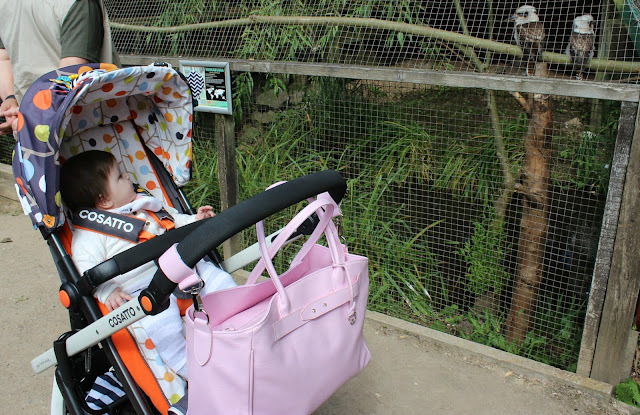 A few months back (quite a few months back actually, in August 2016), Willow and I spent a day at Tropical Birdland, a local destination set in 6.5 acres of countryside and woodland, home to over 250 Parrots and exotic birds. Tropical Birdland first opened it's doors to the public in 1984 and since has concentrated on growing the site, not just to share an ever-growing collection of incredible Macaw's and exotic birds, but also to hand-rear offspring from endangered species with a successful breeding programme. 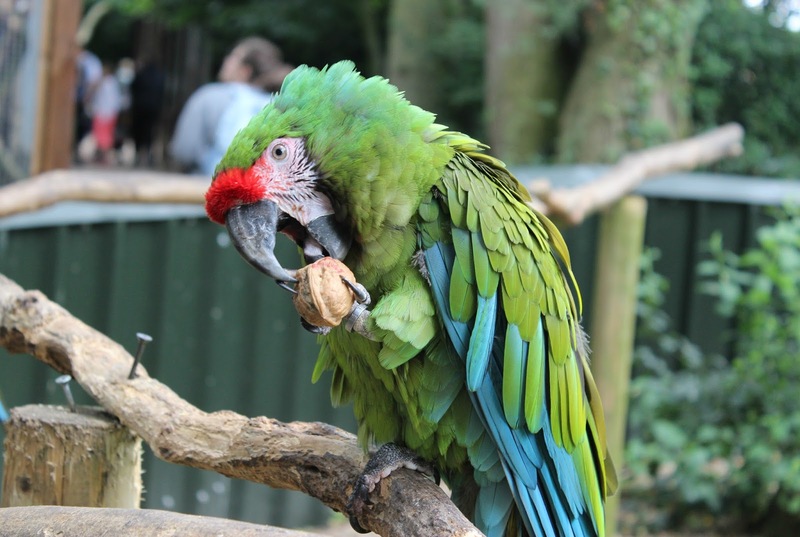 You can spot some of the endangered birds being bred at Tropical Birdland on your way around the park, with viewing windows to the breeding rooms, which is incredibly exciting if you manage to spot some newly hatched Macaw's! 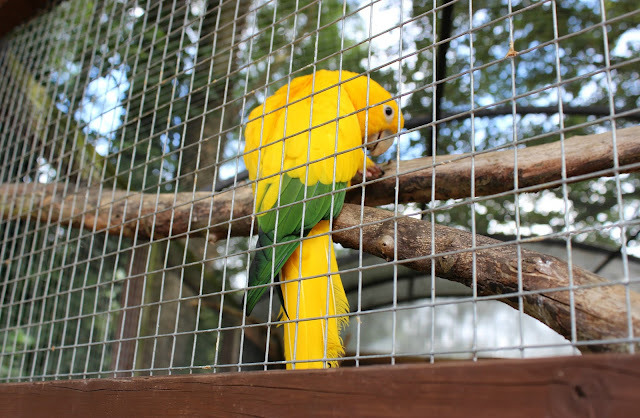 As well as having birds in enclosures, which you are able to view from almost all sides, some of the birds are able to fly freely around the area and you can get in real close proximity to some of these beautiful creatures. There's also the option when you first enter Tropical Birdland, to buy some food to feed the birds yourself, including fruit which you can give to the birds both flying free and through the enclosures, as the birds are very happy to come close enough for a tasty treat! Another way to get up close and personal with the 250 birds at Tropical Birdland, is the walk-through enclosures. There's a couple of them around, some of which you can just step inside to a little platform, whilst others allow you to walk along a path all the way through the enclosure. I was a little worried we might end up with bird poo on us, but it was exciting to be in the bigger enclosures. 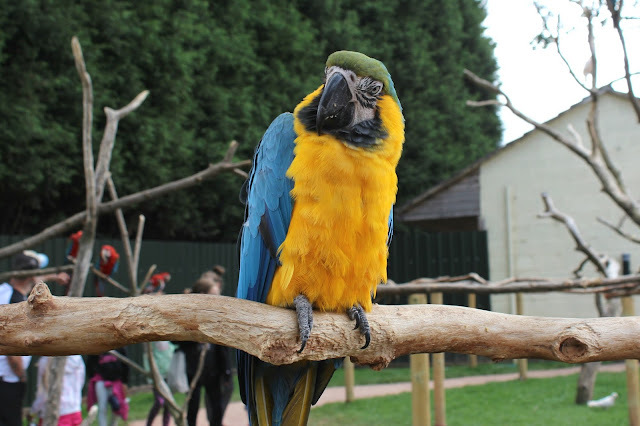 It felt like you were in another world, as Tropical Birdland itself is nestled into the beautiful Leicestershire countryside, away from the hustle and bustle of the city and busy roads. As well as the enclosures, which follow the path around the park, there is also a Woodland Walk, which I so wanted to go and explore, but unfortunately, it was not pushchair friendly, so we couldn't take a walk through. When you've made your way all around the park, you will come to The Parrot Path, which is an amazing little area where dozens of Macaw's are resting, playing and eating; but be careful, as some of the birds like to get very up close and personal. They will fly up to you, onto you, nibble at your buttons and jewellery, they are extremely confident birds and obviously very used to being around people every day. There is also an on-site cafe as well as designated picnic areas, both on grassy areas and with picnic tables available. 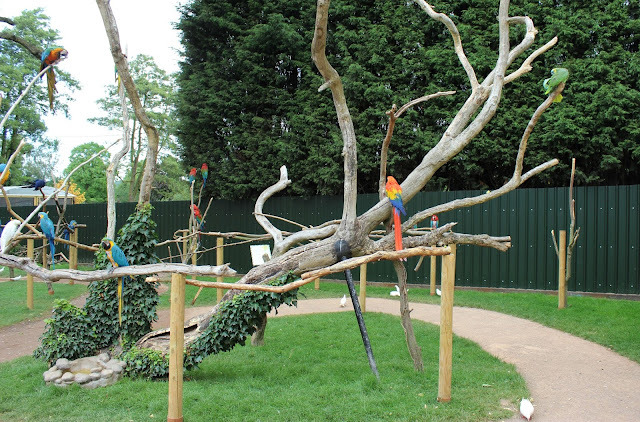 There's also a huge adventure playground for the little ones to stuck into and burn off any leftover energy. On your way out of Tropical Birdland, there's a little gift shop, which sells everything from homewares and keepsakes to soft toys and puzzles, a lovely reminder of a family day out. I really enjoyed our day at Tropical Birdland, but it wasn't exactly what I expected. I appreciate that places such as this run on their admission fees and donations, with no Government help to keep them going, but I was a little bit surprised by the pricey admission fee; £7.75 per adult. Willow did thankfully get free entry, which is the case up until the age of 4. We had set out to spend the whole day there, but we couldn't have stretched the visit more than a couple of hours, even with time to eat from the on-site cafe, as it wasn't quite as vast in size as I had imagined and Willow was too young to explore the playground. The cafe was also a little bit of a disappointment. Exceptionally busy with a queue outside of the door and only one member of staff both manning the tills, taking orders and making drinks, the menu left a lot to be desired. The menu had very few 'healthy' options, with the vast majority being fried foods; there was not one single healthy option on the children's menu, every single item was fried, so I had to ask for a simple egg on toast which ended up costing almost the same as my jacket potato, the only healthy option on the standard menu. For one (very small, with barely any filling and no salad as advertised) jacket potato, a cold drink, a coffee and an egg on toast for Willow, the bill came to around £15, which I personally think is extortionate. 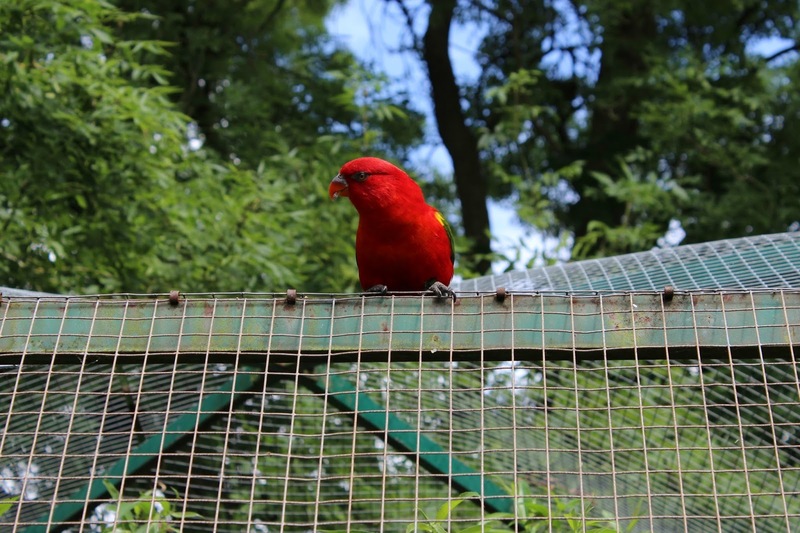 I also felt slightly conflicted, over the condition of some of the enclosures and the way in which some birds looked. You could see some birds were clearly in great distress inside the enclosures and desperate to get out, and a lot of birds had become so distressed that they pulled their feathers out and a few looked like they may have skin concerns. The enclosures didn't look particularly well looked after, some in need of some TLC whilst others needed a really thorough clean. Again, I appreciate as a small business without a huge expendable pot of cash to dip into, that it can be difficult to make the place look like a 5 star venue; but I did leave very worried for the welfare of some of the birds on-site. We picked up a couple of soft toys in the gift shop for Willow and I did ask the staff in the shop how the birds came to be at Tropical Birdland, aside from the ones bred on site and part of the owner's collection. She explained that many of the birds were rescued birds, from people who had bought them as pets and either been unable to care for them or cared for them very badly, which does explain the condition of some of the birds. Those few niggles aside, we did really enjoy our day and there's no denying that Willow, who was 7 months at the time, was truly fascinated by all the sounds and everything she saw. It's quite a sensory day out for little babies and it was lovely to see her face light up with excitement, with intrigue and sheer joy. Would I visit again? Yes, but when Willow is a little older, so she can explore more for herself and take it in more, learning about the birds as she goes round and being able to interact more. 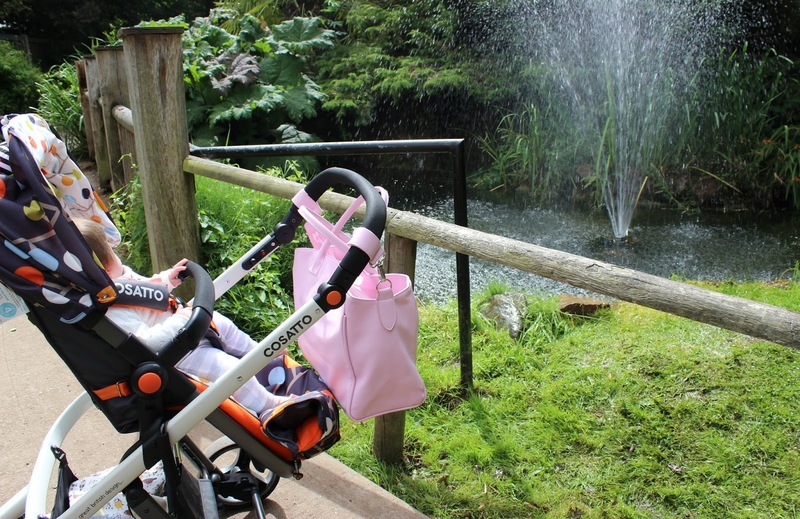 If your little one is into birds or you're looking for an easy, local, family day out, then Tropical Birdland is worth a visit for sure. Find out more and plan your day at tropicalbirdland.com. My boys love birds, ducks and parrots, shame about the ace though I agree £15 for what you had sounds very expensive. £7.75 entryfor 2.5 - 3 hours...its hardly expensive is it.